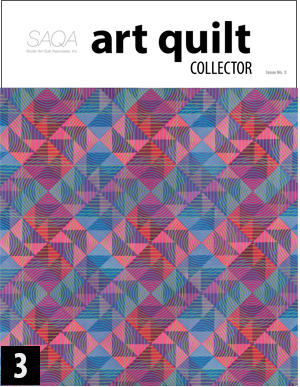 Art Quilt Collector is a quarterly publication is designed to appeal to collectors of Art Quilts. 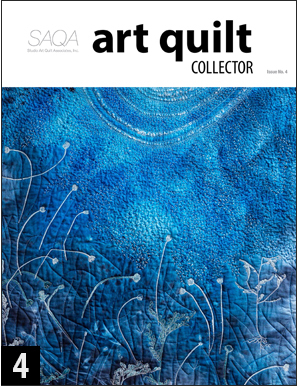 Each issue of Art Quilt Collector focuses on a special art quilt collection, a collection belonging either to an individual or a museum’s collection. 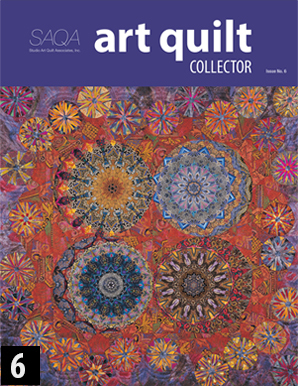 Additional articles will provide information about how to care for your collection: storage, insurance, shipping, hanging, exterminator concerns, and more. We’ll also provide information on cataloging your collection, copyright, and how to find a home for your collection when you’re ready to pass it on. Occasionally we will highlight an unusual art technique. 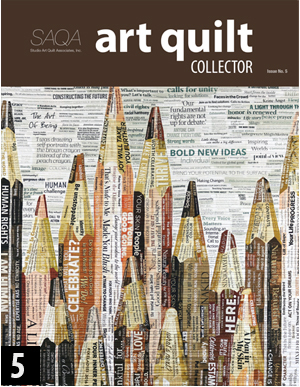 Each issue will also bring you a broad array of art to enjoy: interviews with three featured artists and a gallery section. 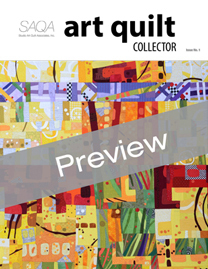 And we’ll also provide information about art quilt exhibitions traveling to venues near you. 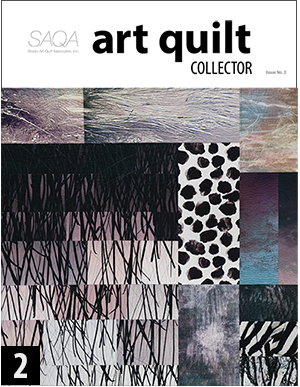 SAQA sponsors 3-5 new exhibitions each year, and most of them travel to multiple venues across the United States and around the world.